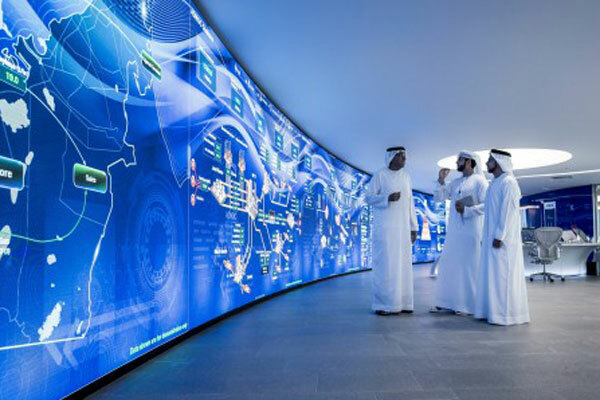 Abu Dhabi National Oil Company (Adnoc), a leading energy and petrochemicals group, has announced its successful collaboration with IBM, piloting a blockchain-based automated system to integrate oil and gas production across the full value chain. A leading energy and petrochemicals group, Adnoc said its groundbreaking system provides a secure platform for the tracking, validating and execution of transactions at every stage, from production well to the end customer. Blockchain is a shared ledger that can record transactions amongst a network efficiently and in a verifiable and permanent way. Information is stored in blocks and once recorded, the data in any given block cannot be altered retroactively without alteration of all subsequent blocks, which requires consensus of the network majority. This allows the participants to verify and audit transactions independently and relatively inexpensively. Using blockchain technology will reduce the time it takes to execute transactions between Adnoc’s operating companies and significantly increase operational efficiencies across its full value chain. It will also improve the reliability of production data by enabling greater transparency in transactions, said the statement from the company. The industry-leading project was announced by Abdul Nasser Al Mughairbi, Adnoc Digital Unit Manager, at the recent World Energy Capital Assembly, in London. At the event, Adnoc shared its ambitions and early successes in embedding blockchain and other advanced technologies, including Artificial Intelligence, across its business to enhance operational efficiency, drive profitability and unlock new value from oil and gas resources to seize the opportunities created by Oil and Gas 4.0. On the deal, Al Mughairbi said: "We believe this could be the first application of blockchain in oil and gas production accounting anywhere in the world." "It demonstrates how Adnoc is leveraging innovative partnerships to unleash the power of technology and creative thinking to enhance efficiencies and deliver greater performance," said the top official. "Blockchain is a game-changer. It will substantially reduce our operating costs by eliminating time-consuming and labor-intensive processes, strengthen the marketing and trading of our products, and create long-term sustainable value that will ensure that Adnoc delivers on its 2030 smart growth strategy," he added. Adnoc’s blockchain pilot has provided a single platform that tracks the quantities and financial values of each bilateral transaction between Adnoc’s operating companies, automating the accounting process. "For example, as crude oil makes its way from the production well to the refinery, or the export terminal, all quantities are accounted for on a daily basis along with the associated monetary values," he noted. "Other products included in the Blockchain application are gas, condensates, Natural Gas Liquids (NGLs) and Sulphur. These products are exchanged between Adnoc’ operating companies and exported to customers overseas," he added. Zahid Habib, IBM's Chemicals and Petroleum Solutions VP, said: "With this pilot, Adnoc takes a massive leap forward in asset provenance and asset financials, which, in its simplest terms, enables the ability to track irrefutably, every molecule of oil, and its value, from well to customer."